"Many young girls and ladies do not use a needle in their lives today." About 2000 years ago, fishermen used a large shuttle to weave heavy cord into fishing nets. About 1000 years ago sailors knew many different kinds of knots to use on the sailing ships. 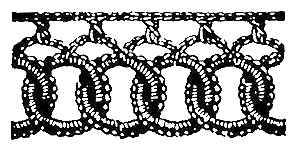 The Bolin Knot was used for the anchor; it was a slip stitch. All these cords were handed down to weavers who used a finer thread to make lace. 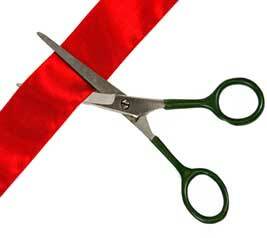 The shuttle was smaller to accommodate this finer thread and the lace they made was sewn onto satin and velvet. Because the royalty wore beautiful garments with lace, lace making was a thriving business in Europe. 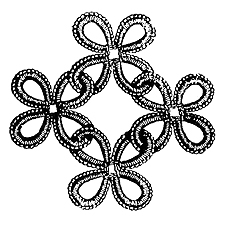 Tatting was one of these laces. Children and handmaidens were taught to tat edgings that were quickly bought up by the weavers who would add the tatting edgings onto the garments and charge a large sum of money for the garment. 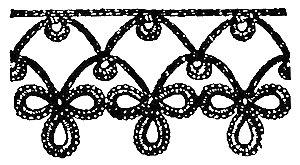 In England, this lace was called knotting. In France it was called frivolet. 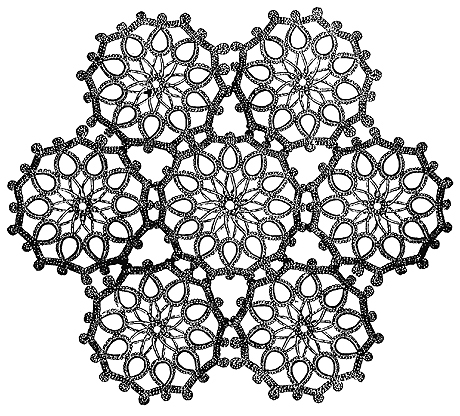 In America it was called tatting. 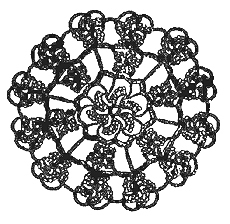 In 1845 in Cork, Ireland the nuns had developed the art of lace making with crochet, knitting, and tatting. They saw the poor people eating grass so they brought out their beautiful laces, sold them, and gave the money to the poor. 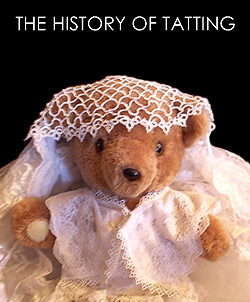 Irish immigrants came to America wearing tatting, and then they sold the tatting to make pin money. 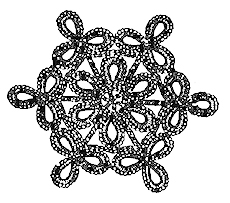 Many 19th century women’s magazines, such as Godey’s and Harper’s Bazaar, included tatting patterns and instructions in their issues. In the 1940s, a magazine called The Work Basket featured patterns for needlework tatting, crochet, knitting, and quilting. It was popular for ladies to make beautiful lace for themselves and their family. Also they were taught how to make pillows in tatting. I was a young school teacher in Gillespie , Illinois and was taught to tat by another school teacher. My husband and I moved to Springfield , Illinois and visited New Salem. In this village, the people rebuilt the log cabins and stores to resemble 1832, the time that Abe Lincoln lived there. They had crafters come to show their work; I exhibited tatting and smocking. 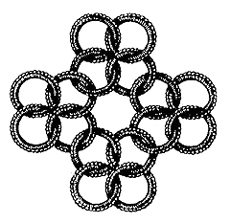 After retiring, we moved to Winter Garden, Florida, where I continue to teach tatting and smocking. I am able to sell what I make to ladies interested in the old arts. Now I lecture to ladies in Florida that do needlework. I sell tatted earrings, necklaces, tatting on handkerchiefs and pillow cases, in frames, on note cards, Easter and Christmas balls, baby booties, bridal veils, and tiaras. 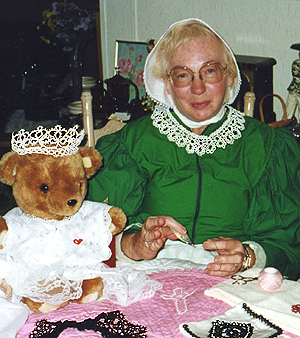 I wear a costume of the 1900s and demonstrate tatting at fairs and craft shows. 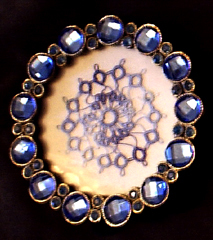 My tatting won two blue ribbons at the Central Florida Fair in Orlando , Florida. Many young girls and ladies do not use a needle in their lives today. The needle was used to make clothing and mend rips. I hope more modern day women will learn one of the needle arts of the past. One of my prides is teaching my granddaughter how to tat, sew, knit and crochet.